When stage one of the Tour de France begins in Noirmoutier, northwestern France, on July 7, tire manufacturer Continental will launch into its first year as a sponsor of what is doubtless the world’s biggest cycle race. This year, seven of the 22 World Tour teams are competing on racing tires from the Competition Pro LTD series. Manufactured at Continental’s Korbach factory in Germany in a complex manual process, these racing tires present extremely low rolling resistance as well as high grip and puncture resistance. But the riders’ bikes will not be the only vehicles displaying the yellow Continental logo. The official Tour de France support vehicles for the race director, medical staff, timekeeper and service will be equipped with an exclusive special edition of the latest passenger car tire from Continental, the PremiumContact 6, produced in the Continental plant Sarreguemines, France. This is by no means the first time that Continental has equipped teams competing in the Tour de France. For many years now, a number of teams have put their trust in the “black gold from Korbach” – including four-time Tour de France winner. This time around, Team Sky, Movistar, Bahrain Merida, Katusha Alpecin, FDJ, AG2R and Dimension Data teams will be running the high-tech Competition Pro LTD racing tire from Continental. Sponsorship of the Tour de France is designed not only to focus attention on Continental’s bike tires, but also to play its part in attaining the corporation’s goal of “Vision Zero” – a world without road fatalities and accidents. In this context, the tire manufacturer is aiming to utilize the attraction of the race to promote a stronger sense of partnership on the road and mutual consideration between vehicle drivers and cyclists with its 1.5 meter distance campaign. Additionally Continental is providing tips on the Tour de France website (www.letour.fr) helping fans to get to the race and home safely. 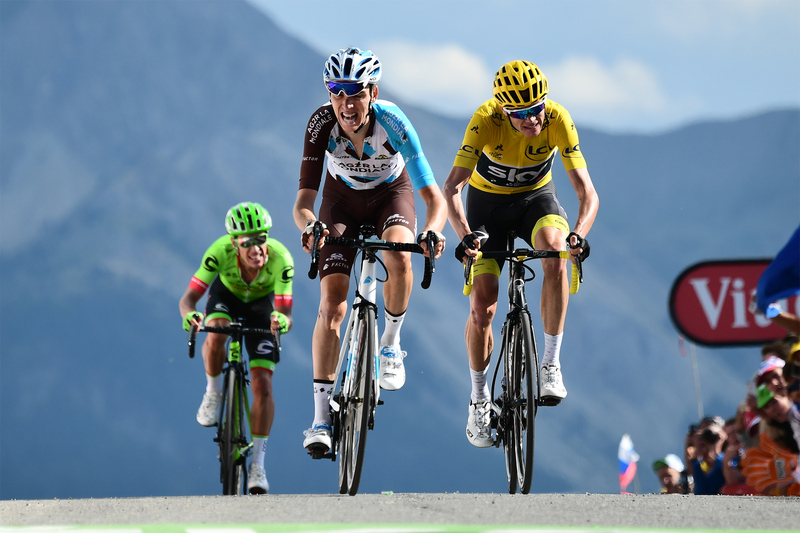 With the Tour de France, Continental completes the trio of the world’s most prestigious multi-stage races as the Group has previously announced partnerships with the Giro D’Italia and the Vuelta a España. Continental has a long tradition of manufacturing bicycle tires. The first air-filled “pneumatic” models were produced in 1892, earlier than the first car tires, making Continental the first German manufacturer of cycle tires.